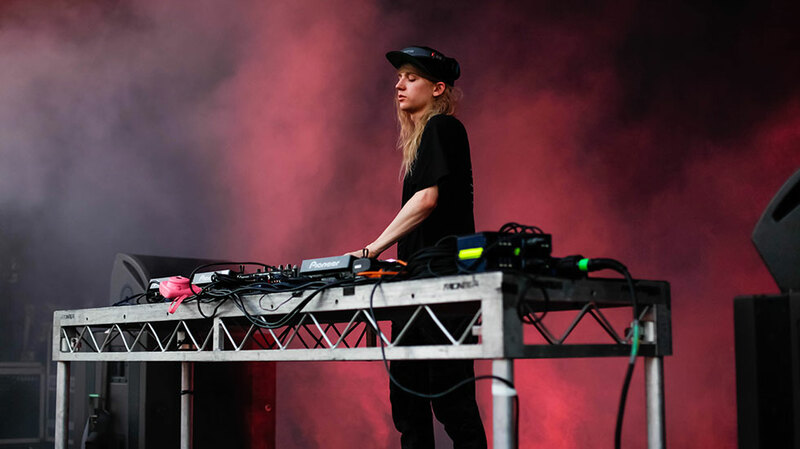 Between the panoramic vistas, blue skies and blistering sunlight, Fidelity Festival lit up Red Hill Auditorium on the first Saturday of summer. Perth’s ever expanding festival bill took a dip into international waters with the arrival of this eclectic cracker of a line-up featuring artists from all corners of the globe. The blend of varied and unique music had whims of contradiction as the audience kicked back and chilled out; opting to look on from the steps over moshing amongst the theatrics of Future Island’s pumping performance or Cashmere Cat’s pop-infused DJ set. Upon arrival it was immediately apparent as we lined up — eagerly sweltering with tickets at the ready — that there was, unfortunately for us, devastatingly minimal shade provided within. Punters made flight for the bar with cold bevies on the brain before making a beeline for the only decently sheltered area in sight, the mosh. When the sun sank down to the horizon later in the afternoon, festival vibes charged to life with an atmosphere prime for absorbing an archive of novel talent. A smorgasbord of craft beer was up for grabs at the mega bar and impressive food installations satisfied hankering appetites with options spanning from loaded fries to paella. A venue change in early November relocating the festival from East Perth’s Wellington Square to the accommodating albeit outlying, Red Hill Auditorium was no obstacle for gig goers who seemed stoked to make the journey to the idyllic outdoor venue. In the persistent afternoon sun, Ziggy Ramo held it down for Perth with a powerfully energetic performance in the first set of the day. Huddled and blissfully basting in sweat, the crowed looked on as the Aussie hip hop man of the moment let loose with his thought provoking lyrics and hard-hitting tracks. Band members The Love sported Justice For Elijah shirts alongside Ziggy in protest for 14-year old teenager Elijah Doughty who was fatally run over in August last year. The man convicted of ‘dangerous driving causing death,’ was sentenced to three years prison, which has been labelled an injustice by Aboriginal elders. It was a powerful display of unity immersed within a multi-dimensional performance from an important voice in today’s Aus music scene. 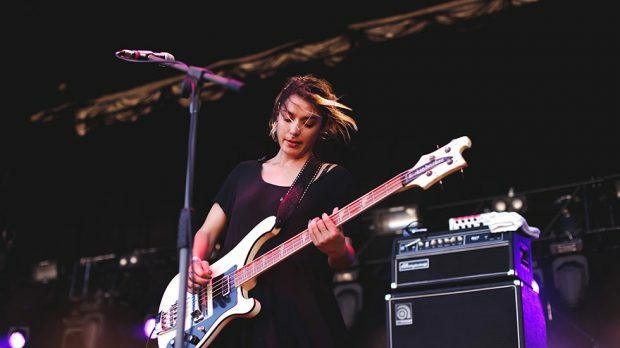 From the standing area front and centre of the stage, Warpaint‘s vocals seemed muffled and lost within their instrumentals. The mood mellowed out and somewhat faltered for me among the drone and intense atmosphere that swelled with their set. The all-girl four-piece did however maintain a hypnotically absorbing stage presence throughout their performance, despite seemingly keeping their audience at arms length. From further back their impressive guitar tones and vocals delivered by Emily Kokal and Theresa Wayman triggered the senses and could be experienced in sharper clarity. 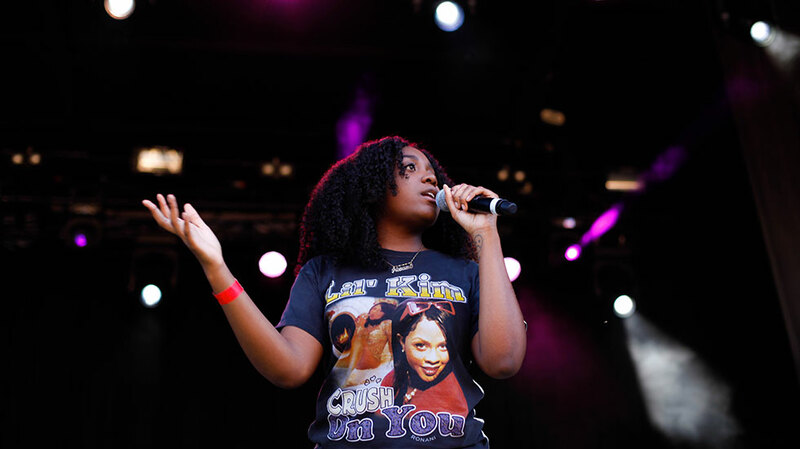 Chicago based rapper and poet NoName brought the bounce and groove to Fidelity delivering rhymes over an array of funky instrumentals. Her stage presence reinvigorated the atmosphere and held the auditorium’s bustling crowd to attention as she performed the tracks from her debut album Telefon. 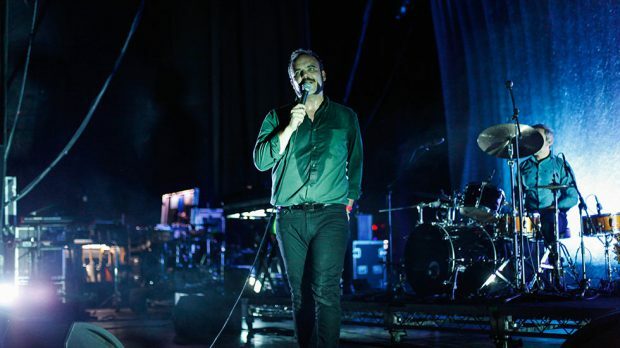 Caring is Creepy, the first song off The Shins 2001 debut album Oh, Inverted World, jangled out through the hills, as lead singer James Mercer’s voice sent goosebumps of indie rock nostalgia down my spine. A glow of light submerged the stage as the band pooled in an impressive display of instrumentalism, engaging in slides from fan favourite Australia to their recent single Name for You. The band were greeted by the audience like old friends as they illuminated the evening with familiar tracks to bring arms and bodies into sway and humbling crowd sing alongs aloud with the significance of Mercer’s lyrics. Following a sweaty penultimate set from Future Islands, we perched on the stairs with uninterrupted views to observe stage crew dash back and forth in preparation for Alt-J‘s closing set. Set up was far more complex than the shows they were following as walled stakes of soon-to-be gleaming lights indicated at a grandiose finale being fashioned before us. 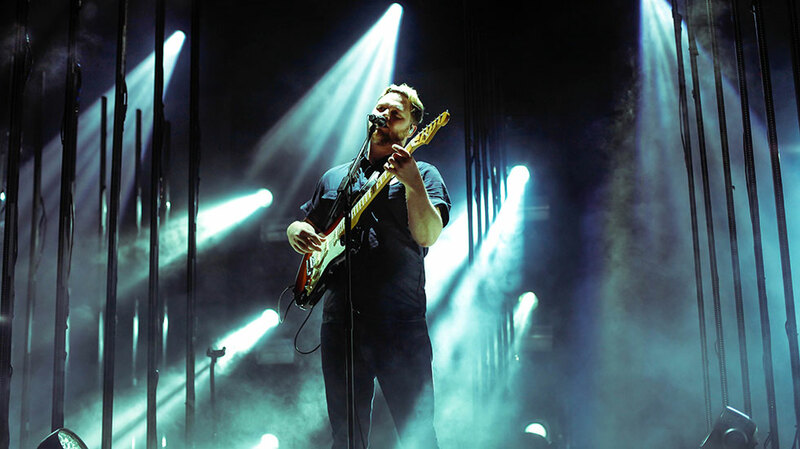 Detonating the stage in a powerful entrance, Alt-J swiftly lured the crowd closer to the music as they swarmed back from the food trucks and bar like moths attracted to the captivating light. The Cambridge based, Leeds-formed band that have experienced extensive airplay on Triple J, elevated Saturday night with their distinctive scatterbrain harmonies and metallic thuds. 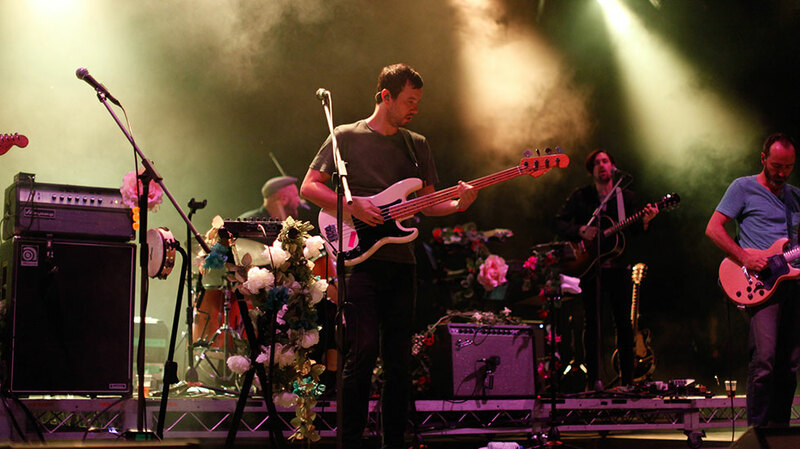 Diving into their archives, the band played predominantly crowd pleasing favourites from their debut album An Awesome Wave closing with the final crescendo of Fitzpleasure. The band were warm and thankful to their fans throughout the set and delivered a full throttle belter of a show with their unique vocals that dabbled in tender moments between the twangs of Taro and marching snare of Something Good.